Craftsman Table & Tap was designed to reflect the image of a European-style tavern combined with a modern-industrial interior that has all the warm comfort of home. Inspired by craftsmen and craftswomen of all kinds, Craftsman Table & Tap is an homage to those who work hard to perfect their crafts. These hard working ideals are why we carry nothing but the finest crafted beers, cocktails and spirits, and why our locally-sourced innovative food menu is second to none. We encourage you to join us for a dining experience like no other. The menu at Craftsman Table & Tap was designed to reflect hearty rustic home cooking. 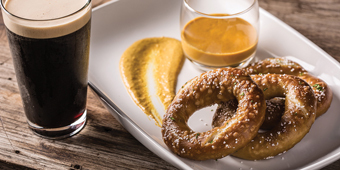 Start your meal out right with our tasty beer-battered Carr Valley cheese curds, a delicious hand rolled German Pretzel, or one of our chef-crafted salads. For the main course, we’ve got a whole slew of satiating sandwiches, melty melts and enticing entrees. Follow that up with a delicious dessert for a comforting meal you won’t soon forget. Whether crafted right here in the Madison area, across America, or around the globe, Craftsman Table & Tap brings you the best in in craft beer. With with 18 draught lines and another two dozen in bottles, we’ve got one of the best selections in town! 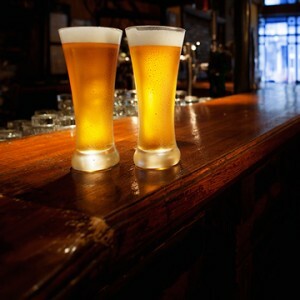 Stop in today for a pint of your favorite brew, or let our knowledgeable staff help you find a new favorite beer. If beer isn’t your thing, we’ve also got a great selection of bourbon, whiskey, and scotch and a whole menu of craftsman cocktails to choose from. Craftsman Table & Tap works hard to plan some of the most innovative and fun events anywhere in town. We do everything including tie-dye patio parties, beer dinners and tap takeovers, family friendly bingo, and so much more! Craftsman Table & Tap is also the proud presenter and organizer of the annual Middleton Beer Fest. Craftsman is also a great place to host your next private event. We have a private room upstairs that is the perfect location to host your next birthday party, business meeting, retirement party, bridal shower, rehearsal dinner, or whatever ever event you might be planning. 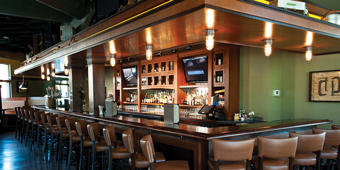 Contact us today about having your next event here at Craftsman Table & Tap.